The above photo of the sky was taken by a 5 year old child laying on her back in coastal Maine. People of all ages are being asked to point their cameras skyward and take photos of the sky and submit them. Why do you think people are being asked to do this? Why do you think children are being invited to join this project? Try taking some photos several photos from different places. Try laying on your back or taking a photo from a window up high. Take some from inside and some outside. Take photos at different times of the day. Try standing very still and try one moving or spinning. Now take a look at all of your photos. Which photo expresses what you want to say about the sky the best? What makes your photo work? Were you surprised at the results? 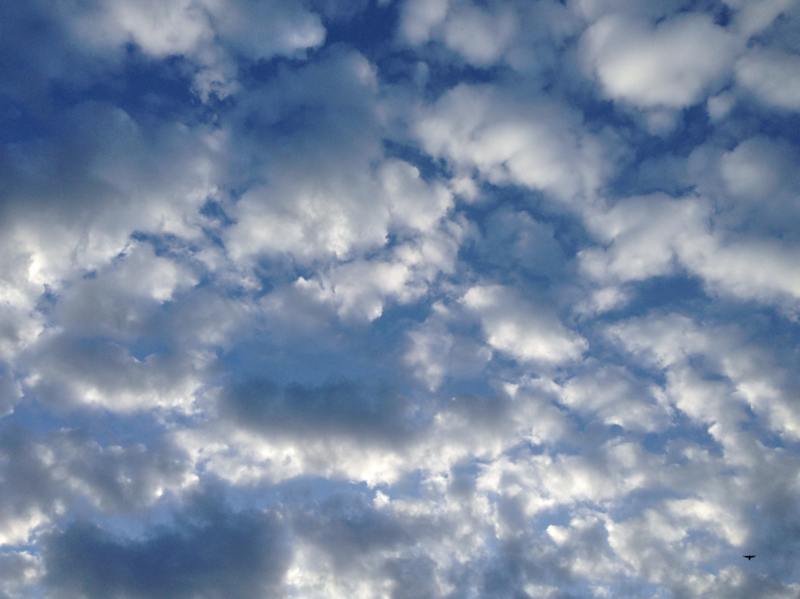 What do you think would you like to try for your photo for the SkyDayProject? You’ve had the opportunity to take photos of the sky to prepare you to participate in a worldwide community art project. Why is it important that we participate in this project and ask our friends and family to join us? Do you think it is possible after the world pauses and sees how beautiful it is, to be united in taking care of our sky? Say you take a photo and it doesn’t turn out quite the way you had pictured in your mind, what can you do to help yourself continue? A simple point and shoot camera or smart phone and an internet connection are all that you need. More experienced students can be challenged to think about the impact of point of view, time of day and composition on their photo. Encourage students to write about their thought process or the resulting photo. Talking about art is sometimes difficult. Using phrases such as, “I like this because…” or “This part works for me because…” or “I like the way you did…” are good beginnings. Ask the children to talk about their choice and the project as a whole. Look again. How can we, as teachers, encourage this to be more than a single project? To be a call to action? What can you do to keep this project fresh throughout the year? Please remember to check back on our website for more projects and invitations to discover the sky and all its beauty.